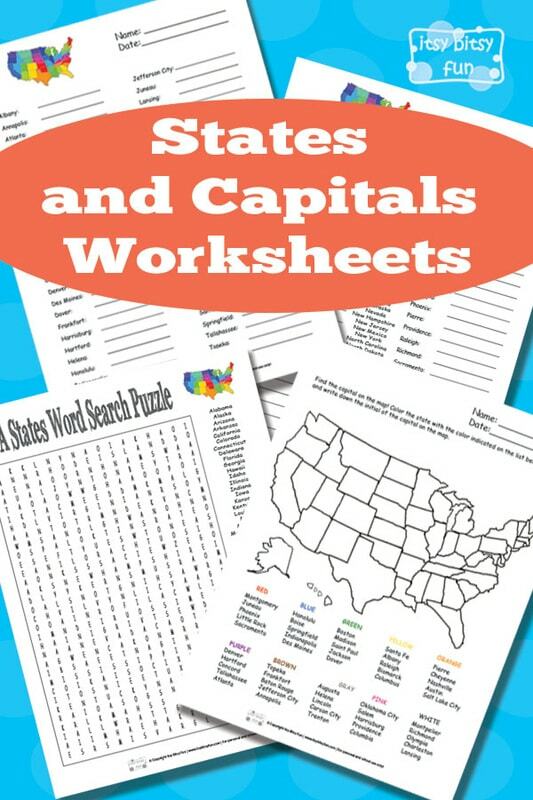 While 50 can sure sound like a lot to learn (and it is) we know these States and Capitals Worksheets will help your students master all the names in no time. We were learning about the world with ocean and continents worksheets but now it’s time to explore things a bit more. We think geography is one of the most important subjects to learn and all kids should have an idea about the world around them (focus naturally being on the country they live in). We’ve made a few different worksheets with different approaches to learning – as kids learn differently. We tried to make the worksheets as engaging and diverse as possible. To help students familiarise themselves with all the names we made a few word search puzzles. This is a great way to memorise the names of the states and capitals. There are a few different versions available so kids can solve them more than one time. Coloring isn’t just for fun, it can be super helpful with learning too. Make learning the locations a bit more fun, rather than just writing down the names on the map have kids color the USA map as instructed. There is also a selection of basic worksheets where kids have the complete list of states and have to write down the capitals and vice versa. I’ve made two versions of this one – one with “cheat sheet” and one without. You can also grab the blank USA maps which will work great with these worksheets (you can use them to have the kids locate the states and capitals and write down the names). 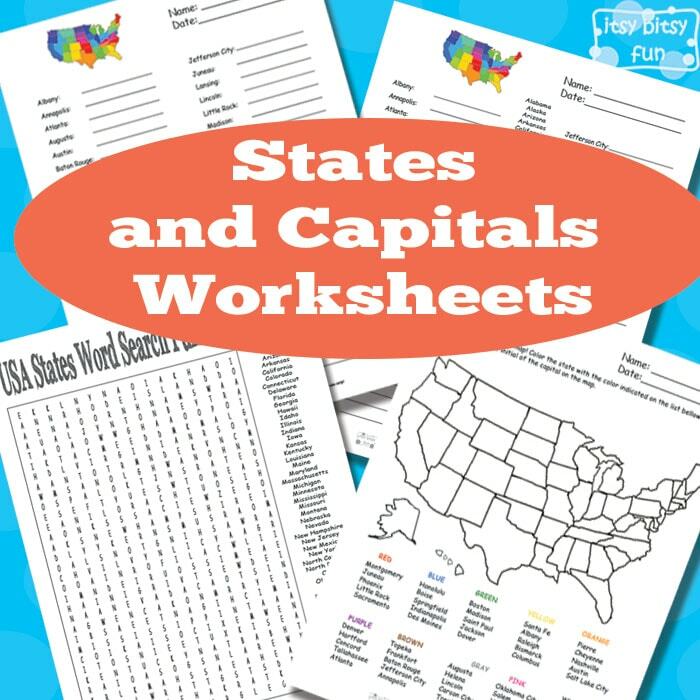 Grab your own copy of these free worksheets here: States and Capitals Worksheets.